Many of us are searching for the key to long life, and the answer to it may be just around the corner. Only modern science is going too far and out of direction searching for the clue. 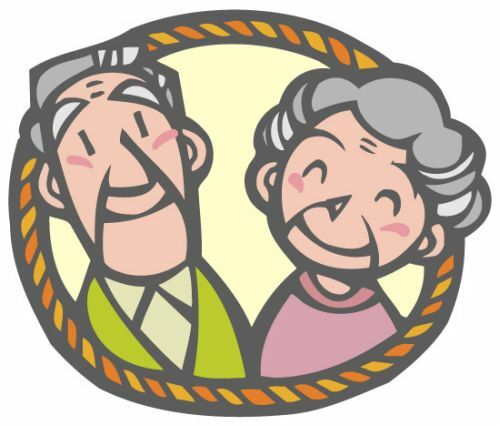 Many people want to get rich and become famous, but most forget to have a happy healthy long life. To find the secret for a healthy long life, the PYRO-ENERGEN groups have studied and interviewed hundreds of healthy aged people in various countries. And we believe that we have found the answer to it. We conducted a simple medical checkup among the healthy aged people we've met, and we found that they have low cholesterol contents in their blood, which became our initial clue in achieving long life. This is because low cholesterol levels help prevent heart attack and stroke, which is one of highest cause of death among the elderly people. Generally, we think that the food we take is one of the factors of longevity. Therefore, most pharmaceutical and food supplement companies claim that their vitamins and well-blended supplements can help prolong your life. However, people we've met who were over 100 years of age never tried and never heard of such vitamins, health supplements, and other health drinks that scattered all over the world. From these findings, we came to think that foods and energy drinks advertised on TV commercials are not really the answer for longevity. There must be more than that that we did not realize. 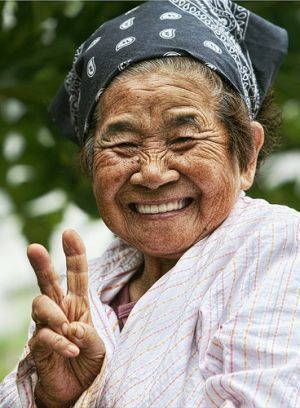 We tried to get in touch with centenarians (people who are 100 or more years old) in Okinawa, Siberia, Andorra, San Marino, Singapore, Sweden, Australia, Switzerland, France, Iceland, and Canada, where they are happily living through our friends and PYRO-ENERGEN members, for us to have a better understanding about their longevity. We monitored their lifestyles for a whole year, and there we found that the foods they eat and the environment conditions are just secondary in life. The most important point and the commonality among all golden agers is a simple lifestyle that does not lead to any heavy stress. So, is stress simply the answer? Of course, not, but if we think it twice, then the answer might be related to stress again. At first, foods they eat are just their native food. However, a shot of liquor daily may count as one of good habits. Honey, vinegar, kelp, milk, and other milk products, are also counted as good foods. What's important here is to enjoy eating at least three times every day. All centenarians seem to have good habits of outing and chatting. This will greatly reduce daily stress. Outing to seaside, riverside, waterfall, farmland, forest, fishing, nearby park, and even visiting to friends or relatives, are activities good in reducing stress and cholesterol. This is evidenced by the blood test conducted following their activities. By means of reducing stress and cholesterol, does it mean "longevity" for every one of us? Yes, we believe that it is. I myself have tried these activities since 15 years ago, then, I feel very fine and the cholesterol contents in my blood became normal. I do not feel stress and fatigue. I have no stiff neck, headache, and bad dreams. That is why I travel more and more. It's great. I recommend it to you. Apart from the above mentioned activities, we recommend that you write a diary, letters to friends, or even a poem. Writing is another way to normalize your blood pressure. Most centenarians we've met have a habit of writing. In fact, writing can also be a form of therapy to gradually ease your pain and strengthen your immune system. For instance, write the words "I love you" 100 times to your sweetheart. Writing good things to someone, and to love some, will reduce your cholesterol levels. Try it, and you will be amazed for the good result. A Japanese at 102 years old, climbs electric post and repair electric wires. 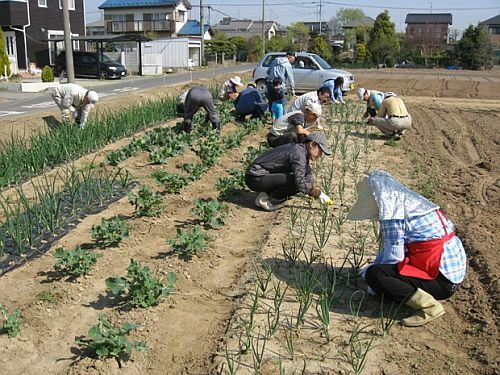 Many Okinawan centenarians are in active duty in their farmland. We believe that achieving longevity does not just rely on foods, energy drinks, vitamin supplements, environmental factors, but more importantly on how we live with a smile. Since then, I myself am trying to imitate the way they live. Because of that, I feel fine nowadays. I feel healthy with normal cholesterol levels in my blood and without stress. Why not see if these ideas will work for you? In fact, several people whom we talk to are following the lifestyle I mentioned here, and they reported to us that their health conditions are dramatically improving and they're feeling wonderfully fine, clinically and physically.